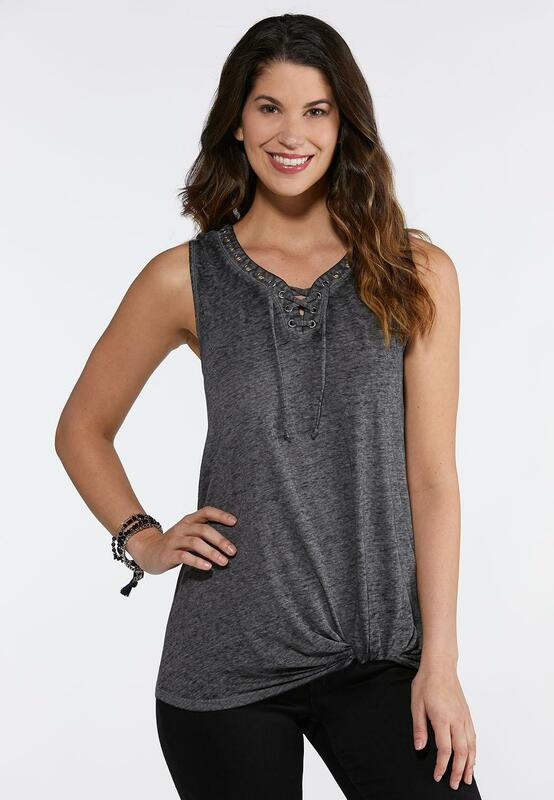 A slight twist to the hem and tie grommet detail bring a cool and casual vibe to this stretch knit tank. Wear this faded black style with a pair of cropped black skinny jeans for a modern daytime look. 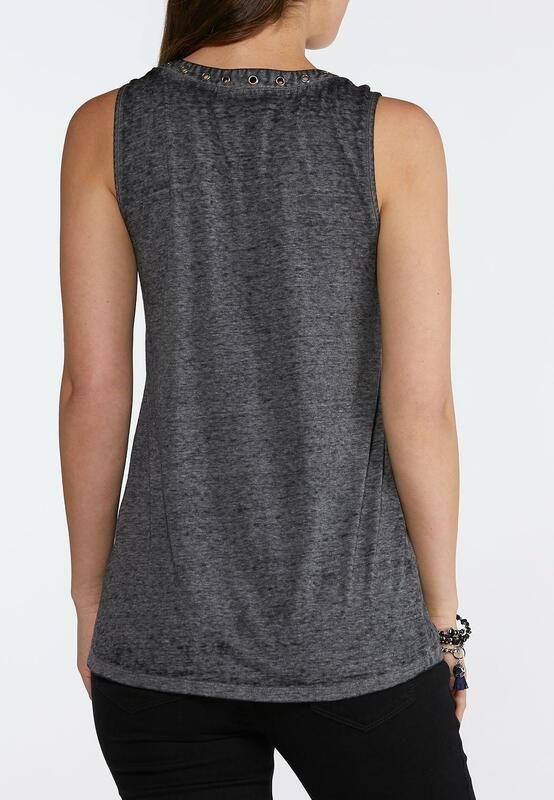 This tank is very comfortable. Not too thin, but not too thick to be hot. Material is soft. I love the shape of the neck. Not too much cleavage, but a hint. The way it is faux tied in the front is very comfortable if you have a bigger stomach, like I do because there is a little extra material. I wish there were all colors! I would purchase one in every color offered!! I’ll let you know how it washes up after I wear it.